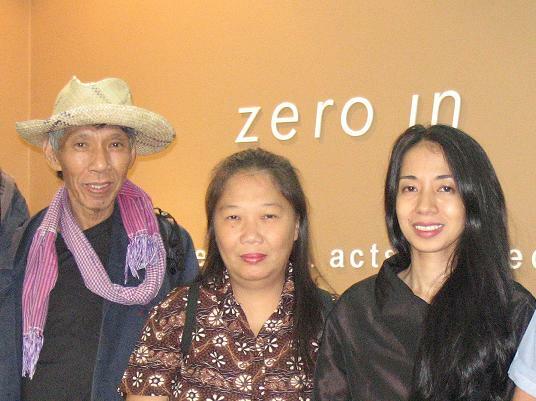 Contemporary artist Kiri Dalena and filmmakers Egay Navarro and Rica Concepcion will discuss their works currently featured at the Lopez Memorial Museum’s Keeping the Faith exhibit on January 24, 2009 (Saturday) from 2-4pm. The three will talk about the creative process and challenges they faced in creating their artworks. These are Dalena’s installation “Barricade, book of slogans, erased slogans, and isolation room” which referenced images from the Lopez library archive of materials from the martial law period and Navarro and Concepcion’s film documentary on the late Baguio-artist Roberto Villanueva. Lecture fee is Php120 per person. For info, contact Fanny at 631-2417 or email admin@lopez-museum.org.